Cake is one of the greatest inventions of all time. No one on the planet can argue that. If you could eat cake every day, would you? Well, you can eat cake every day if you learn to bake them yourself. Once you start baking cakes, the next natural step is to learn how to decorate them in beautiful and stunning ways. Cake decorating may seem like something too difficult for the beginner baker. You've probably watched those television shows where bakers make cakes with intricate designs or make cakes that don't even look like a cake. You don't have to aim for that level of decorating. Basic cake decorating can still produce a stunning cake, and it is not that difficult to do. It's actually a lot of fun to discover all the things you can do with frosting. Plus, it brings out your creativity and allows you to try different techniques to produce cakes that will wow everyone. So, sit back, relax, and let's learn about cake decorating so you can be the go-to cake maker in your social circle. The first cakes were more like honey-sweetened bread than the cakes we know today. Before you can begin your magnificent frosting creations, you need a cake. Some cakes are meant for decorating while others may be too weak, wet, or crumbly for frosting. There are three main types of cake that you can frost and make into a marvelous masterpiece. Frosting, Fondant, and Glaze… Oh, my! 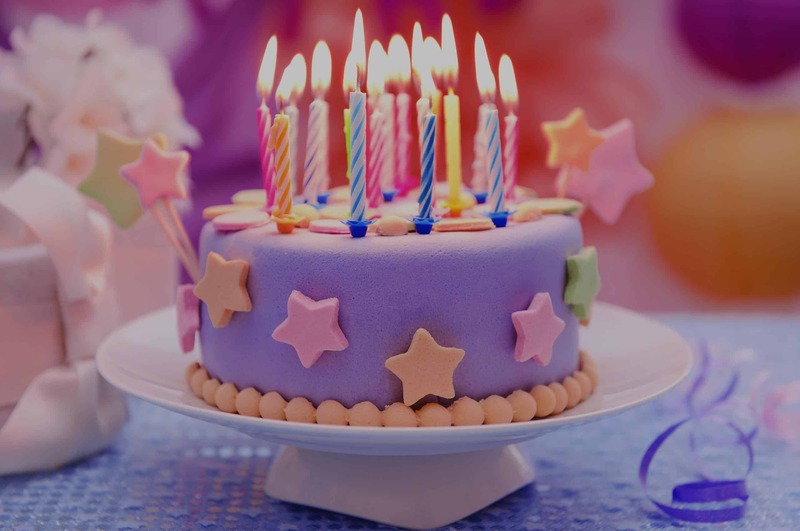 There are different types of frosting that you can use to decorate your cake. Some frostings are better for covering the whole cake while others are best just for decorative touches. Sometimes, a frosting works both ways. Some people call frosting icing, but they are not the same. Icing is light and runny whereas frosting is thick and fluffy. A good base frosting will be soft and easy to smooth out. Decorative frostings should harden a bit and have a firmer texture. You can often turn a base frosting into a decorative frosting just by adding a bit more sugar to stiffen it up. When you think of fondant, you probably imagine rolled fondant. It is workable like a dough. This sweet dough has a matte finish. Rolled fondant makes a smooth covering for a whole cake. You can also cut it out to create shapes. There is another type of fondant that doesn't get as much attention. It is poured fondant. As you probably guessed from the name, you pour this type of fondant over a cake to coat it. It is very soft and smooth. You could compare it to satin. Another important quality is that it doesn't harden. You should always apply a base layer of buttercream or another soft frosting before adding fondant to a cake to ensure the fondant adheres. 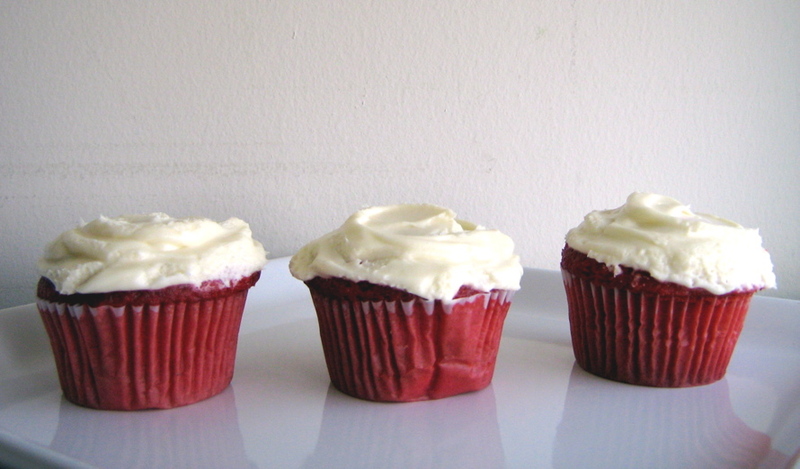 Besides fondant, the other type of frosting you are most likely familiar with is buttercream. There are many kinds of buttercreams. A mixture of powdered sugar and butter creates American buttercream. It is soft, fluffy and sweet. Swiss, Italian, and French buttercreams are made with eggs, sugar, and butter. They usually require creating a simple syrup on the stovetop. They also begin with a meringue base to which you add the other ingredients to get a final fluffy and rich buttercream. Lastly, there is rolled buttercream. Again, the name gives this away. It is similar to fondant in that it is like a dough. This type of buttercream just has more sugar added to stiffen it up. Powdered sugar goes by many names, including confectioner's sugar and icing sugar. Another dough-like frosting is marzipan. Ground almonds and sugar combine to create is highly moldable frosting option. While it is most often used to mold into figures or items, it can be used as a base frosting. Do keep in mind, if you want to use marzipan, make sure that nobody who eats it has a nut allergy. It has that classic tangy flavor. This type of frosting is similar in texture to buttercream and pairs well with spicy or rich cakes. Ganache is a simple frosting. To make it, you just melt chocolate and combine it with heavy cream. This is a pourable frosting. Once it cools, it sets up into a fudgy consistency. It is also super rich, so it is ideal if you want decadence. Whipped cream frosting is essentially heavy cream whipped until it is frothy with some sugar added to sweeten it. This is very light and airy. And this type of frosting matches well with fruit garnishes. Royal icing is a mix of egg whites and powdered sugar. It dries very hard. This is a decorative frosting only. You wouldn't want to frost a whole cake with it. However, it can create some beautiful and intricate decoration on a cake. Royal icing piped into strips and broken up after hardening makes homemade sprinkles. Pastillage is decorative frosting option. It hardens quickly but makes for excellent 3D decorations. You have to work with it fast, though, to avoid it hardening before you finish. This frosting is a combination of sugar, gelatin, glucose, lemon juice, and water. You may not think of boiling to produce a silky frosting but that is exactly how to create boiled frosting. Mix flour, sugar, and milk and bring to a boil. Finish it off with some butter, and you get a glossy frosting that gives cakes a shine. Tiered cakes were once only for royalty and members of high society because they were too expensive for the commoners. Glaze is a very thin frosting. It is also a pourable frosting made from chocolate, water, sugar, condensed milk, and gelatin. One of the most popular glazes right now is the mirror glaze. It is smooth and glossy. You pour it over a cake and it creates a mirror-like finish. And you know about frosting. So, you may think you are ready to jump into decorating. You are far from ready. You don't even have the right tools yet. How are you going to create life-like flowers or create a smooth edge on your fondant when you don't have the tools you need? You won't be able to do any of that without having the right tools. Plus, having tools makes decorating easy and more effective. 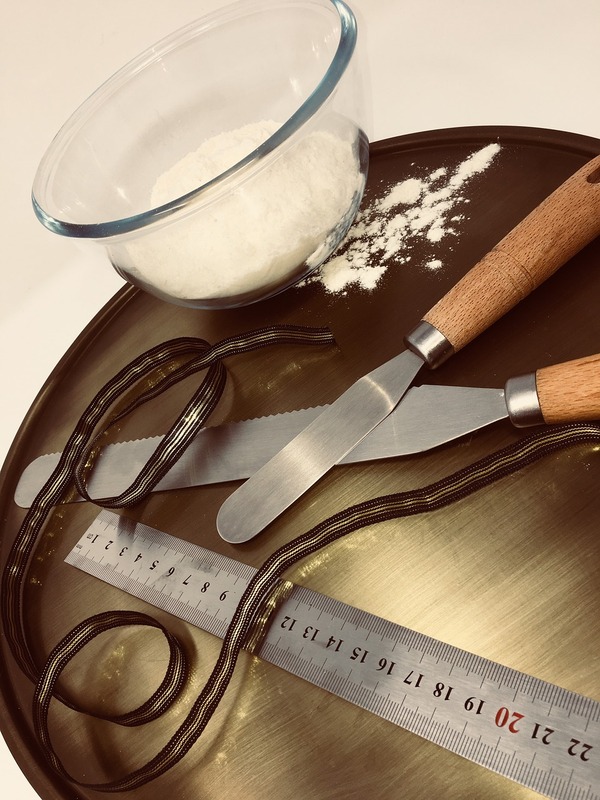 If you are serious about cake decorating as a hobby or even possibly a way to earn money, then you should invest in a good set of cake decorating tools that include all of the following items. If you want to create designs and decorations using frosting, then you have to have a piping bag. This is a bag that you put the frosting in. They can be disposable or reusable. By adding a tip and squeezing the bag with different pressure and at different angles, you can create a range of patterns, designs, and objects. A sandwich bag can work in place a piping bag in a pinch, but it should not be a long-term option. 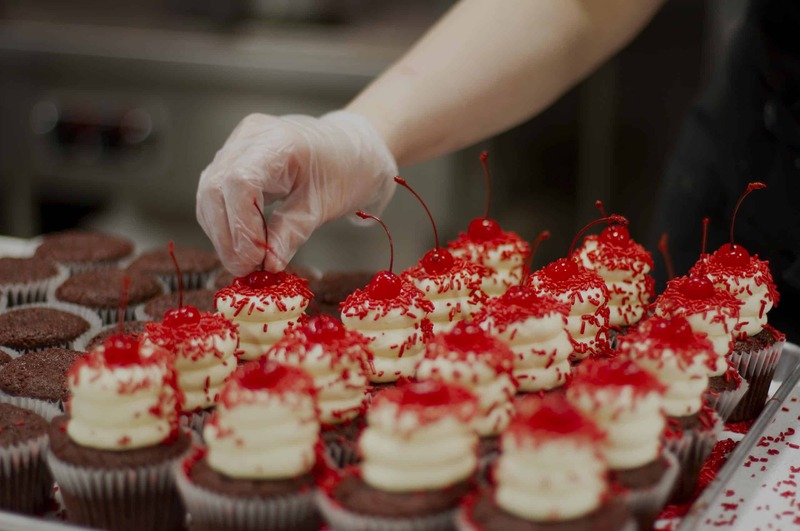 Piping bags are specifically designed to withstand the pressure of being squeezed whereas sandwich bags will burst open if you squeeze too hard or too much. As just mentioned, you need tips to create designs with your piping bag and frosting. There are many different tips, but the size and shape of the end hole determines what design it will make. Tips can be metal or plastic. Plastic tips are usually disposable. They also come in two sizes. The bigger size goes into the piping bag. The smaller size attaches to the piping bag with a coupler. If you plan to use multiple tips, get the smaller size so you don't have to grab a new bag when changing tips. Trying to decorate a cake without a stand is a challenge. You may find it takes longer and leads to many frustrations. A cake stand allows you to work on your cake from all angles. You can turn the cake easily and reach every spot. It also means you can work on your cake without having to hunch over since it puts the cake on a pedestal. Do yourself a favor and get a good cake stand that will turn smoothly and that is the right height for your work area. If you want to create designs, characters, or other objects, then you will need some molds and cutters. These help you to make the most of rolled frostings. They also are a blessing when it comes to working with chocolate. Cutters are just like cookie cutters. You press them into the dough to make a perfect shape. Molds allow you to press or pour your frosting or chocolate into them to get 2D or 3D designs. When working with a rolled frosting, it is essential to roll it out to the proper thickness. The last thing you want is a fondant that is super thick. It is off-putting. A good rolling pin allows you to get your dough even and thin. It also helps create a smooth surface on the dough. One thing you will quickly learn as you begin decorating is that you have to start with a smooth surface. Bumps and ragged edges will only make it harder to get a good-looking final result. Any imperfections in your base frosting will shine through. Trust us, you want to avoid having an otherwise amazing cake marred by a lump you could have avoided just by smoothing your base frosting. To help you ensure your base frosting is smooth and clean, you use a cake scraper. Just run it along the frosting to smooth it out. You can also use this tool to remove excess frosting because frosting is great but too much frosting can ruin a cake. A fondant smoother is similar to a cake scraper except it is used specifically to smooth the fondant out once you have it laid on the cake. Applying fondant looks pretty easy when a professional or skilled baker does it. You'll find out it isn't always that easy. You'll be incredibly thankful that you have this tool to help you get a smooth final look. A smoother also helps to adhere the fondant to the frosting base so you don't have issues later with the fondant sliding or coming loose from the cake. Another tool you must have to get smooth frosting is an offset spatula. This give you the best angle for smoothing frosting on the sides of the cake. It is a firm, metal spatula that you can also use to scoop and apply frosting. If you want to make flowers, you need to invest in some flower nails. These are used when you pipe flowers that need built up petal by petal or if you are making a lot of flowers because you can take them off the nail and set them aside to apply to the cake later. A flower nail looks like a huge tack with a flat top. You pipe onto the flat "head" part while holding the bottom, which you can easily turn in your hand as you work. This is the stuff you've been waiting for. Let's get into the nitty-gritty of cake decorating. If you are a beginner, don't worry. We'll keep things simple. However, we are also going to cover some more complex ideas so you can step up your game when you are ready. How simple or complex a cake is really depends on your vision. You have total control of what you want your cake to look like, so always remember that. Always let your cake cool completely before starting. Trim your cake top to make it smooth and flat. The first step in decorating is frosting the cake with your base frosting. Begin with a crumb coat. It is a thin layer of frosting that helps seal the cake so you don't end up with crumbs in your outer layer of frosting. We've all seen a cake dotted with crumbs. That is not the look to go for when you want to get fancy. Apply the crumb coat and chill your cake for 15 to 20 minutes so it gets firm. Then, you start with the base frosting. You have your case frosted and ready to decorate. 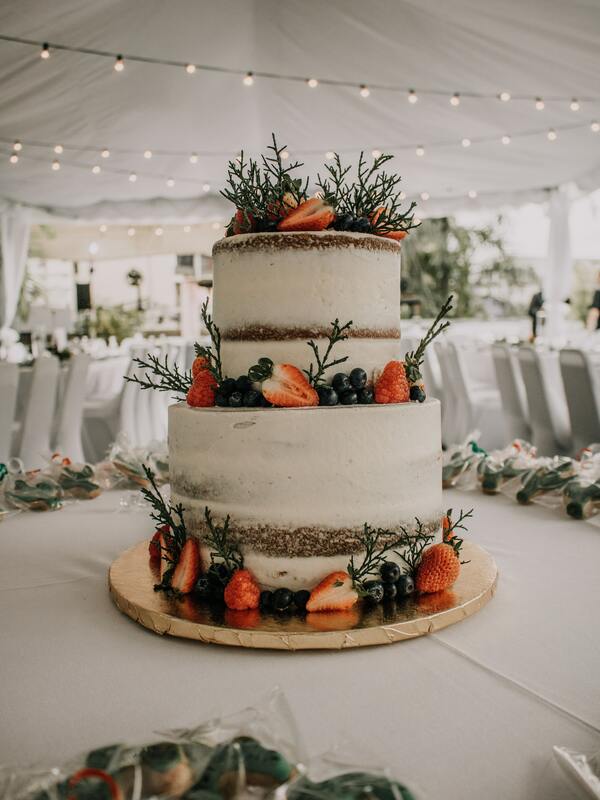 I do want to take a minute to talk about a naked cake because it is a little different from your average cake. No, this isn't something NSFW. 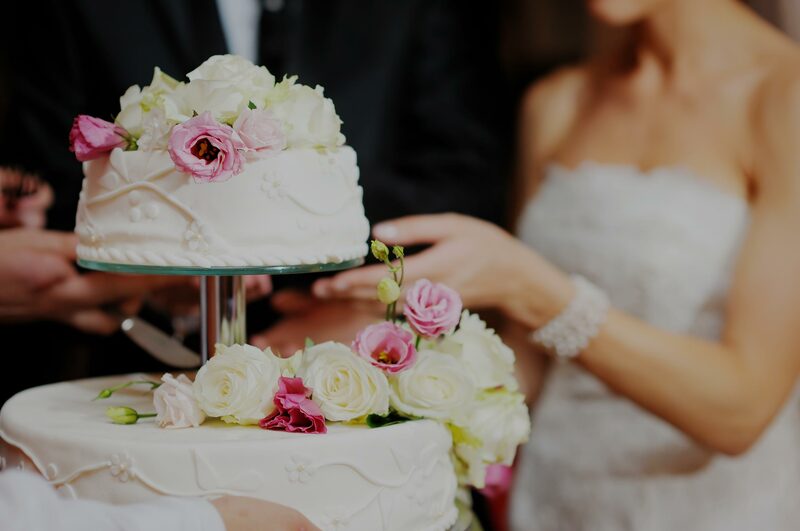 A naked cake is a minimalist design. It may have no frosting on the sides of the cake at all. Sometimes it just has a very thin crumb coat on the sides. It's naked because not all the cake is covered and you can see it. 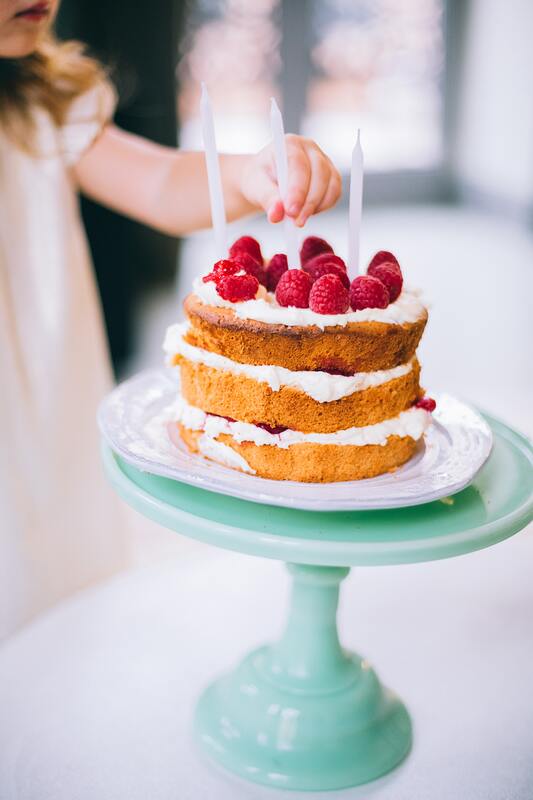 With a naked cake, you really only focus on the top. You add base frosting and decorations on top and leave the sides alone. This is a popular style, and can be a good choice if you are a beginner because it is so simple. Now, you don't have to use fondant, but if you do, you apply it after the base frosting. Treat fondant like a dough. Knead it smooth, and roll it out thin. Use powdered sugar as needed to prevent stickiness and make the dough easier to work with. Once rolled out, loosely roll the fondant on the rolling pin and then lay it over your cake. Always make sure you have enough fondant to cover the whole cake. Piecing fondant together or having to patch holes is never a good look. Use your fondant smoother to get rid of bubbles and wrinkles for a smooth, finished look. Trim away any excess, and you are done. Piping techniques are essential to decorating. If you master one important thing, it needs to be handling and using your piping bag. With a piping bag, you can create some of the most mind blowing and stunning cakes. When you think about piping, you probably think of two things: borders and flowers. These are, after all, the two most common types of cake decorations. Borders are fairly easy once you get the hang of doing them. Flowers are a bit more complex. You can create pretty much any flower you want. Each has its own technique for how to create the petals and overall look of that specific flower. Flowers can be 2D, 3D or flat. 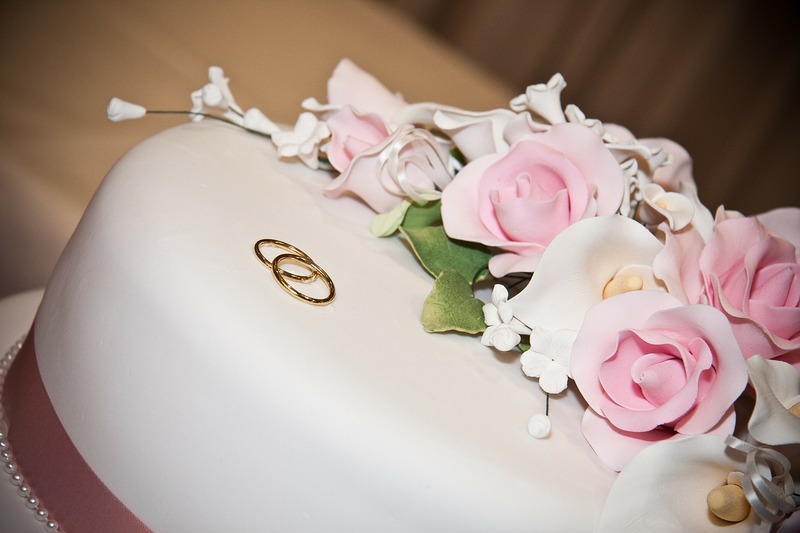 Flat flowers are just piped right on a surface or the cake. The easiest flower to make uses the star tip. You just push and swirl using even pressure to create it. Roses are one of the most popular frosting flowers to make. You will use a flower nail so you can easily work around to build up the bud. To start a rose, you need to create a base, which will become the middle of the flower. Use a round tip, and holding the bag vertical just press out some frosting and release while pulling up. Then, add petals by using the petal tip. Hold the bag at an angle to get the look you desire. Just lightly press the bag and move your arm in a "U" pattern to get your petals. Keep working around the flower to build it up. Making flowers may see hard at first, but you will get the hang of it and be whipping up batches of flowers in no time. This is a case where practice really does make perfect. You don't have to just use frosting to decorate. Remember the decorative frostings we mentioned? You can use those, along with chocolate and other decorative icings, such as gum paste. Gum paste is sugar and egg whites with a little shortening. It dries very hard. You can mold it and use it to create design elements. It does become a bit brittle after it dries, almost like glass, so you need to be careful with your hardened designs. Once you get skilled with buttercream flowers, you can try making them from gum paste. You have to work fast, so that is why it is easiest to master buttercream first. Modeling paste is another option. It sets firm but it is soft enough and dries slow enough that you can mold it easily. As mentioned, chocolate works great, too. Just try to avoid eating it while you work or you may not have any decorations for the cake. Chocolate is quite versatile. You can put it in molds, pipe it out into designs, or even cut it out like fondant. Yes. You can cut out chocolate. To do it, melt your chocolate and spread a thin layer on wax paper. Let it dry some and then use cutters or a knife to create shapes or designs. You can create decorations right on your cake, but a better plan is to use the transfer method. The transfer method is just when you create a decorative piece on wax paper, let it dry, and then put it on the cake. This allows some room for mistakes since you can scrap it and start again if you mess up or if it doesn't look like you want. For a clean yet nice design, lay a stencil on your cake and sprinkle with a garnish of your choice. Use a pastry brush to get rid of any loose bits. You can add even more to your cake decorations. Garnishes are those things that add a little pizzazz to a cake. You probably are quite familiar with them. Another common garnish is fruit. Fruit works especially nice with lighter cakes, such as sponges. If you decorate with fruit, you should serve the cake within two hours to prevent sogginess. So far, we've focused a lot on the top of the cake, but don't forget about the sides. Decorating the sides can really elevate your whole cake. You can press something into the sides. For example, you can scoop sprinkles into your hands and press them lightly to the sides for a fun look. You can use candy to decorate the sides as well. Chocolate dipped pretzels are another cool idea. Crushed cookies or candies work well, too. Actually, you can use anything you want. Putting decorative elements on the side can add some texture to your cake which really makes it pop. Of course, you can always use icing, too. Piping swirls using a round tip is common, or using that same tip to make lace designs is also popular. You can cut out fondant shapes and place them on the sides, too. 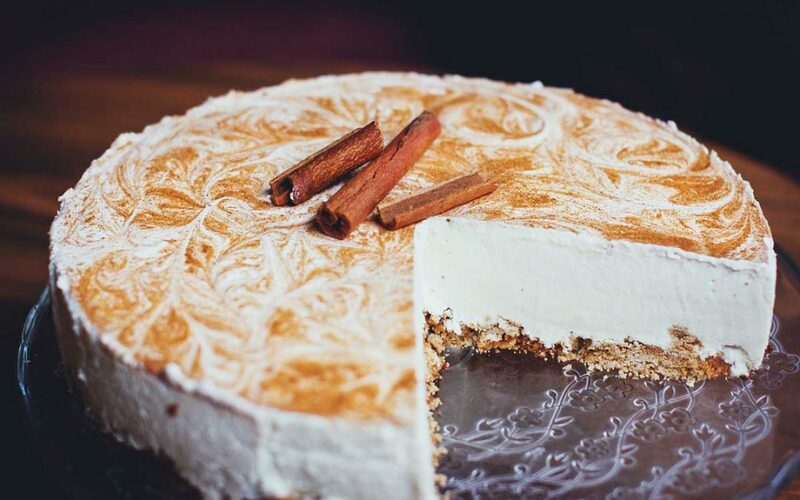 If you are like us, then you are craving cake big time right now. You're lucky, my friends because you now know how to create a frosting dream. Hopefully, while you read this, your cake was baking and cooling, so you can jump right into decorating. Let your creativity take over here. You are only limited by your own mind because a cake is like a blank canvas. It is just waiting for you to create your masterpiece. You'll find that as you decorate more cakes, your skills quickly become more refined. Soon you will be a master cake designer. For now, just focus on getting better at piping, frosting, and decorating. Make cakes for your family and friends to show off your skills and get practice. It takes someone special to focus and have the eye for design needed to produce a breathtaking and inspiring cake design. Who knows? You could be the next Cake Boss in the making. Serve us up your amazing cakes in the comments so we can ohh and ahh over them.